Servicing Victoria, Sannich, Sidney, Westshore, Sooke, Shawnigan Lake & Mill Bay-All of Victoria BC and South Island! Our mission is to provide a quality cleaning service that puts people and the planet first. We are all care givers and love to help! 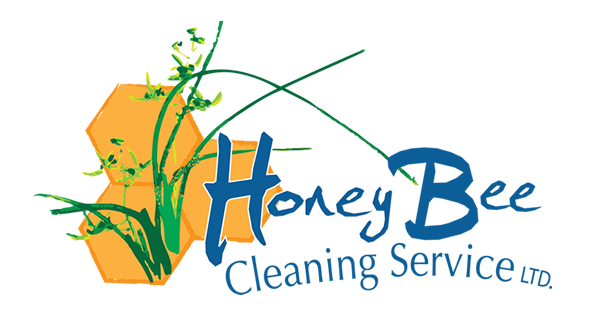 Honey Bee Cleaning Service Ltd. is a local cleaning company that was started from the ground up! :)) Mellisa Magnuson-CEO and Adam Magnuson-CFO are a husband and wife team that are here to help! 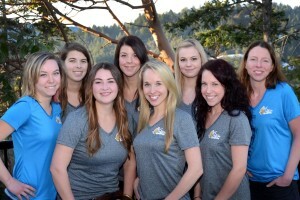 Honey Bee is fully insured, bonded, registered and has liability coverage. We use environmentally friendly products from Norwex, and a plant based multi-purpose orange cleaner from Nusolvant that smells like fresh oranges! Our 23 kind/ hard working employees are treated and compensated at a very high standard to ensure quality, efficiency and pride. We pay special attention to detail and can customize cleaning to modify and suit individual needs. We are truly here to support you and to be helpful. Our goal is to WOW you! Honey Bee believes and understands the importance in listening to our clientele. Honey Bee likes to do things right the first time! We clean with VERY high detail, and are know for this! :) (we notice the little things!). Honey Bee really enjoys being helpful and LOVES to do something special each service to make our clients feel important and make them smile! We provide continuous training and coaching to our staff so we have full communication and make sure we are always! doing a good job. At Honey Bee we believe that our customers, employees and their families should not be exposed to chemicals. Environmental studies reveal that household pollutants negatively impact our environment. The average household contains anywhere from 3-25 gallons of toxic materials, most of which are in cleaners. A radical reduction in the use of chemicals is an important step to improve the health of our planet and quality of life. Honey Bee has found that plant based cleaning products are far superior, are more efficient and provide a cleaner and safer home for you and your family. Honey Bee’s mandate is to promote health and community while providing more time for people and their families to be together. Thanks so much for the prompt service. Megan was on time and very pleasant and thorough. I will definitely recommend your service and will use it again myself.Thanks again! The service was great! Arielle worked really hard and the place looks very good!Thanks again! You guys did such a great job, we could not have passed our inspection without you!I’ll be passing the word around of your great service. Merry Christmas! Mellisa, I just wanted to say thank you so much! Arielle did an incredible job, and finished way faster than I thought she would. Thanks so much for exceeding my expectations! Hi Mellisa-Our service is going extremely well. We are extremly pleased with how clean the main areas of the house are. There is nothing better than to come home on Tuesday afternoon to a clean home, with clean floors! Good morning Mellisa – Would you kindly thank Megan for the cleaning service. We really appreciate the excellent level of service and the place looks wonderful. Just went by the place and it looks great – thank you! I am amazed at how fast Dana got it all done – it would have taken me an entire day for sure!